The MetroWest Chamber of Commerce is excited to be able to partner with and support the Entrepreneurs Connection. We believe this to be a valuable resource which will benefit our small businesses and entrepreneurs. The Entrepreneurs Connection is an educational curriculum and community that supports small business owners in developing themselves, learning new skills, and implementing strategies that enable them to grow as a business owner; thus creating a great business. • Entrepreneurs Exchange: This is a 2-hour quarterly networking and educational event that includes informal networking and group support. • CEO Workshop: This is a one-day workshop that introduces many of the principles in CEO Forum. It is designed to shift and organize your thinking around being a successful business owner and entrepreneur. • CEO Coaching Calls: Group coaching calls available after the CEO workshop. • Business Skills Workshop: Led by an industry expert, these will give you the practical skills you need to succeed in business. • CEO Forum: Six-month Group (plus private coaching) This program has you connect with other business owners and develop to the next level of being an entrepreneur and business owner. $250/month for DFC/Chamber members or $1200 paid-in-full. $300/$1500 paid-in-full. Cantor Consulting offers the Dream Factory Community, educational/development communities in Framingham, Medway, Concord, and Reading that support women in taking a pro-active approach to their lives. The Dream Factory Community, an educational women’s organization, trains you to be a Chief Dream Officer by giving you workshops, accountability groups, events and coaching, so you can take on your life, your work and your world. CLICK HERE for Upcoming Events, Blog Posts and Dream Community Membership Information. She has been training men and women in entrepreneurial thinking, personal growth, and business development for almost twenty years. 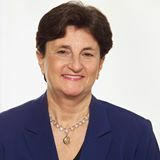 Nancy Cantor has had an ongoing relationship with MetroWest Chamber since 2006. She partnered with them to launch their women’s focused programming in 2007 and was voted Small Business Owner of the Year in 2008. She has mentored a FSU student through the Chamber/FSU Partnership Initiative, and has been a long-time supporter of the Woman Alliance and their philanthropic endevours. In her own business since 1994, she has offered her programs and events publicly and at Fidelity Investments Corporations, Framingham State University, Ashland Public Schools, and MetroWest, Marlborough, and Blackstone Valley Chambers of Commerce. She was a keynote speaker for one of the Regional Chamber of Commerce Conferences.